As with last week's letter, this piece of blue paper is 21 cm x 26.8 cm. It also has faded along the lines where it was folded into quarters. 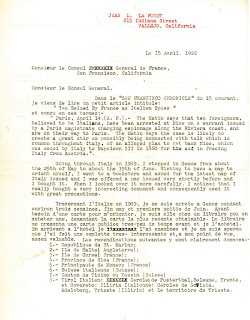 It has the same watermark as last week's letter, but this time I can read the entire thing: SANDRINGHAM DUALIS PP (with the P's linked) PARIS. I can't find a reference online to this paper manufacturer, but progress has been made. 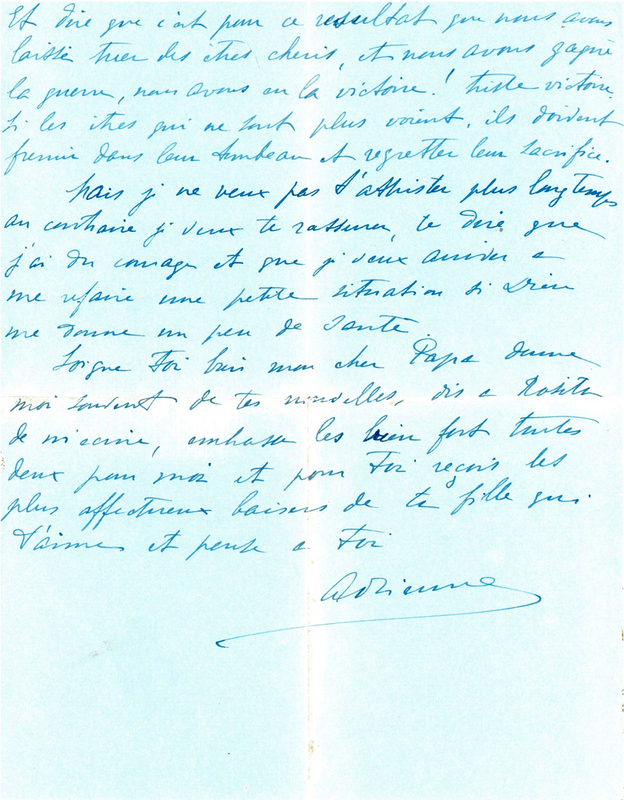 This letter is again handwritten in French, addressed to Mon cher Papa, and signed by Adrienne. 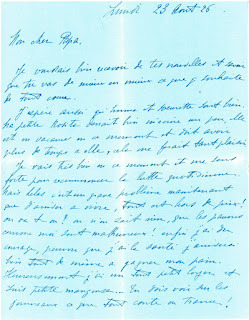 Jean La Forêt's older daughter wrote him a second letter that he kept. The envelope in which the letter was contained is 14.2 cm x 10.2 cm, as with last week's. Its blue is a little darker than the stationery. 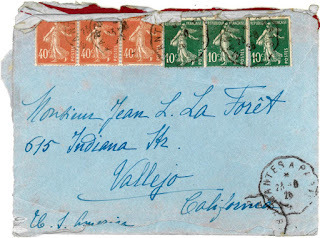 It is again addressed to Monsieur Jean L. La Forêt at 615 Indiana Street in Vallejo. It cost 150 centimes to mail, although this time Adrienne used three 40 centime stamps and three 10 centime stamps, as opposed to last week's two 75 centime stamps. But this envelope has something last week's didn't: a legible postmark! The postmark says "MANTES A PARIS", which I have not yet been able to determine the location of, but I have found references online. It does seem to be in Paris. 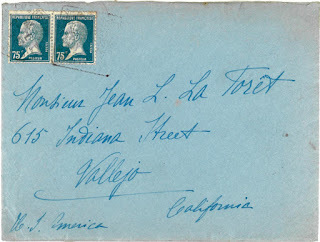 The postmark date looks like 24 August 1926. 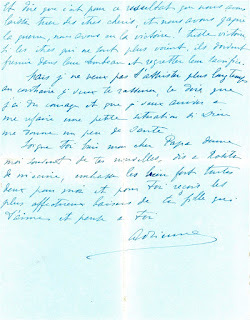 I will again transcribe and translate Adrienne's letter. The envelope is easy enough to read. Je voudrais bien recevoir de tes nouvelles et savoir que tu vas de mieux en mieux a que je souhaite de tout coeur. J'espère aussi qu'Emma et soeurette sont bien. La petite Rosita devait lui m'ecrire un peu, elle est en vacance en ce moment et doit avoir plus de temps a elle, cela me ferait tant plaisir. Je vait très bien en ce moment et me sens forte pour recommencer la lutte quotidienne. Mais celas(?) c'est un grave problème maintenant que d'arriver a vivre, tant est hors de prix! on va t-on? on n'on sait rien, que les pauvres comme moi tant malheureux! enfin j'ai du courage, pourra que j'ai la santé j'arriverai bien tant de mème a gagner mon pain. Heureusement j'ai un tant petit loyer et suis petite mangeuse. En dois voir sur les journeaux ce que tant coute en France! Et dire que c'est pour ce resultat que nous avons laisser tuer des ètres cheris, et nous avons gagni la guerre, nous avons eu la victoire! triste victoire si les ètres qui ne sont plus voient, ils doivent fremir dans leur tombeau et regretter leur sacrifice. Mais je ne veux pas t'attrister plus long temps au contraire je veux te rassurer, le dire que j'ai du courage et que je veux arriver a me refaire une petite situation si ???? me donne un peu de santé. 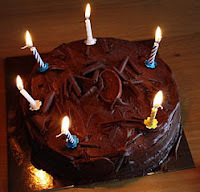 I would like to hear from you and know that you are getting better and better, which I wish with all my heart. I also hope that Emma and little sister are well. Young Rosita should write to me a little, she is on vacation now and should have more time, it would make me very happy. I am doing well currently and feel ready to start the daily struggle again. But this is a big problem now that to live, at what price! Where are we going? We know nothing, with the pitiable ones like me so unhappy! In short, I have courage, and if I am healthy I will be successful in earning my keep. Luckily I have low rent and don't eat much. You see on the news how much everything costs in France! And to say that it is for this that we have allowed dear people to be killed, and we won the war, we had the victory! Sad victory if the people we no longer see must shudder in their tombs and regret their sacrifices. But I don't want to make you sad any longer, I want to reassure you, to say that I have courage and that I want to redo a small situation if ???? give me a little health. While you ???? my dear Papa, give me lots of news, tell Rosita to write to me, give big kisses to the two of them from me, and for you loving kisses from your daughter who loves you and thinks of you. I'm very frustrated that I was totally unable to decipher two words in this letter. I have enlarged the high-resolution versions of these images on my screen and simply got nowhere. Maybe someone else will be able to tell me what the question words are. When you read this letter and compare it to last week's, it's hard to say whether Adrienne had heard from Jean in between. This letter repeats a lot of what was in the first letter. Maybe Jean was too ill to write to her. And it doesn't sound as though Rosita had written to her, either. 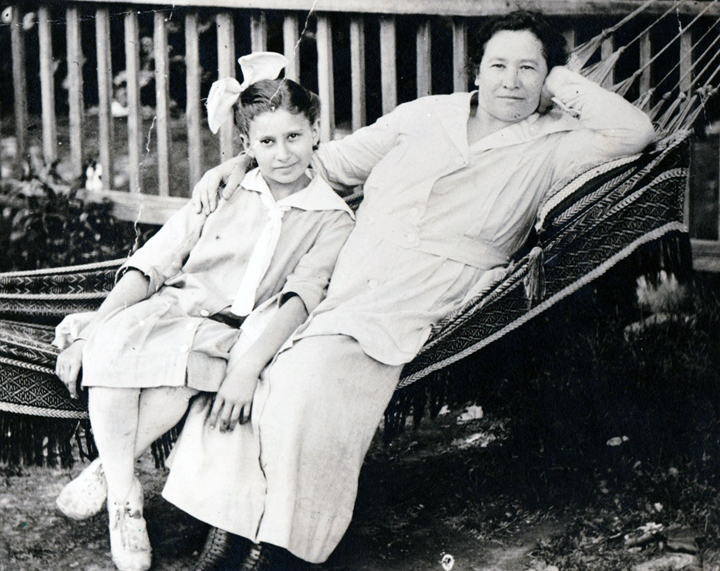 She wasn't ill; maybe she was a flaky kid, or wasn't that crazy about her older sister. Or maybe Jean didn't relay the message? 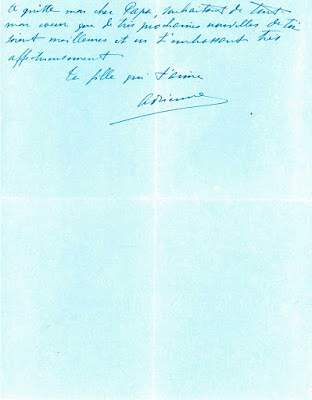 It's nice that Adrienne sent good wishes for Emma in this letter and sent her kisses also. 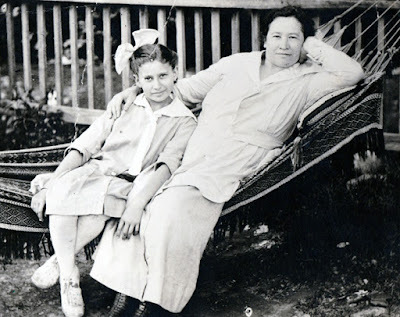 I doubt that Adrienne thought of Emma as her stepmother in any way, but she's maintaining good relations. Adrienne didn't include her surname anywhere, so we still don't know if she was married or single. 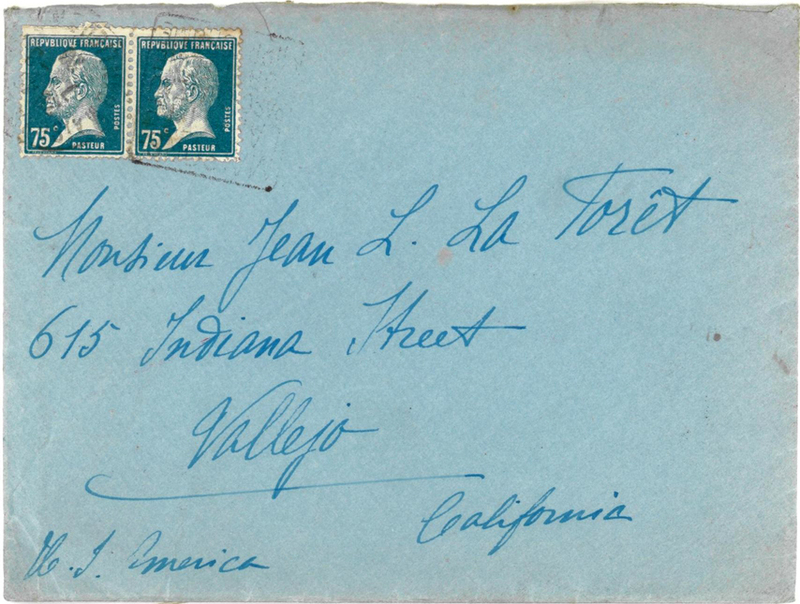 At least with the postmark we know she was in Paris. And it does sound like she was taking the traditional August vacation and was getting ready to go back to a normal work routine. And this is the last item I have in my treasure chest for Jean. I need to look at my documents to determine who is next up on the list to be analyzed. In the meantime, I may take a break next week for Treasure Chest Thursday to make my plans. I love topics where I know immediately what I want to write about. 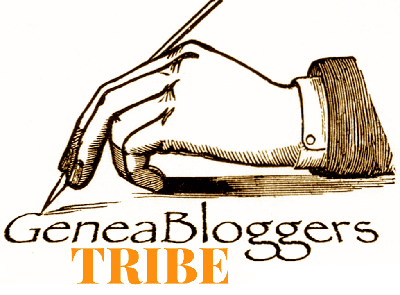 This week's Saturday Night Genealogy Fun from Randy Seaver falls into that category. (1) What was your best research achievement in 2016? Tell us: Show us a document, tell us a story, or display a photograph. Brag a bit! You've earned it! (2) We all have elusive ancestors. What research problem do you want to work on in 2017? Tell us where you want to research and what you hope to find. (1) By far, my best research achievement in 2016 was proving that my paternal grandfather's father was not the man whom my great-grandmother married. 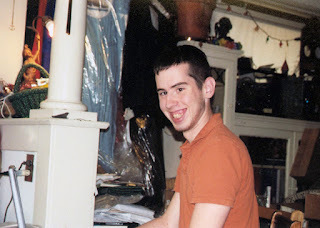 I had suspected for several years that was the case, but I was able to prove it with DNA. 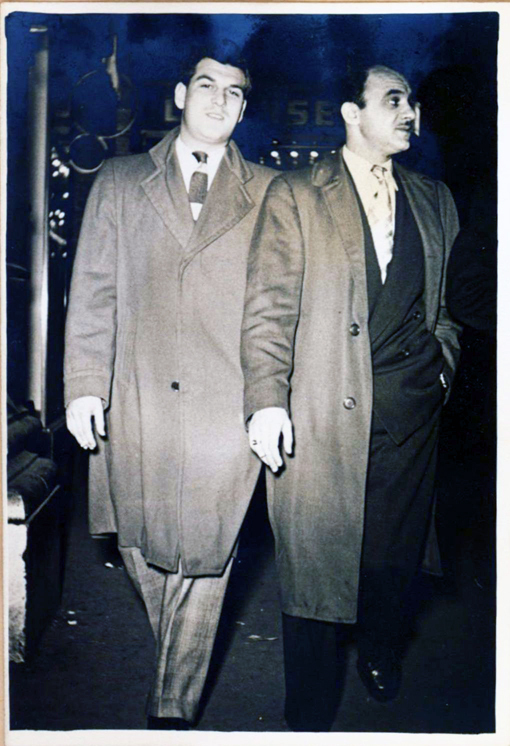 My father's Y-DNA and that of a male cousin who is a descendant of my grandfather's brother show conclusively that they do not descend from the same man. I wrote about this after I had announced to my family members the results of the test. (2) The research problem I will focus a lot of my time on in 2017 is identifying this so-far nameless great-grandfather. 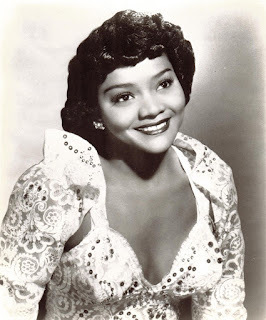 I have a strong suspect, thanks to help from Suzanne McClendon, who found a lot of relevant newspaper articles about the candidate after reading my post about my most recent unknown ancestor (who happens to be this great-grandfather). 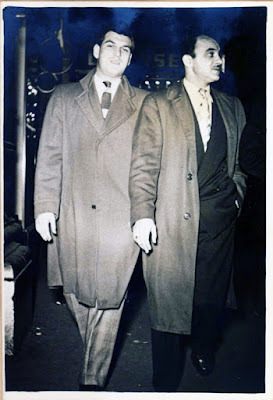 I've been researching the suspect's family, going back one generation at a time and then bringing family lines forward, trying to find a living male descendant who is willing to take a Y-DNA test. 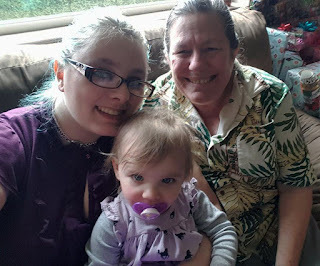 Even if that person matches my father, the test won't tell me who my great-grandfather was, but matching will tell me that I'm not barking up the wrong family tree. One step at a time! I received a phone call late Thursday afternoon. Due to another speaker having to cancel at the last moment, I was asked if I could step in and give two presentations. I'm sad that my opportunity came became someone else wasn't able to go after all, but I'm happy to report we were able to work everything out. 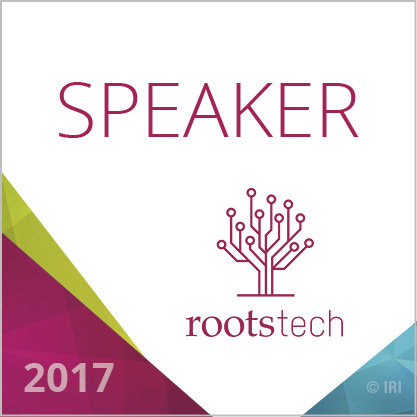 I will be presenting at RootsTech this year (my first time as a speaker there). The two sessions will be on Freedmen's Bureau records and Freedman's Bank records. You know, it's amazing what you can accomplish in a short period of time when you need to. We were trying to get everything done in time to get my session information into the printed program, and I think we made it. I wrote and rewrote my session descriptions (including the Twitter versions), updated and uploaded my handouts, and completed all the other tasks on the speaker list. 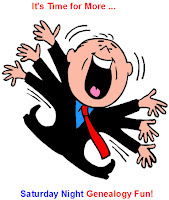 Plus I booked my airline ticket, found a hotel that still had rooms available (! 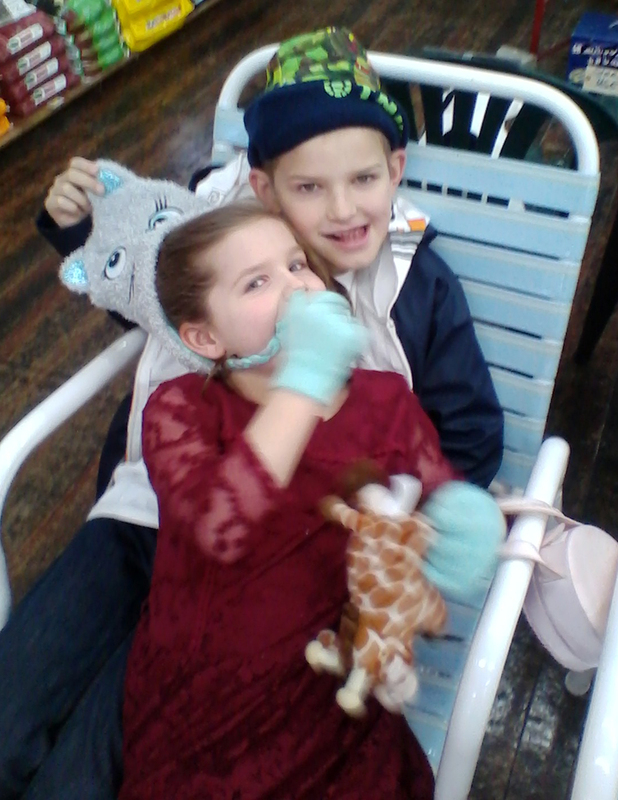 ), and made boarding reservations for my birds. And since I'll be in Salt Lake City, I'll have to find some time to go to the Family History Library for research. I just have to narrow down what to work on, since I'll only be in town for a few days. Genealogy happy dance all around the house . . . . This is an 8 1/2" x 11" piece of paper (finally! modern size!) that probably was once a pristine white but is now quite yellowed with age. It has a watermark that says "LAKESIDE BOND." It was in an envelope and was folded into quarters previously, but I have flattened it. 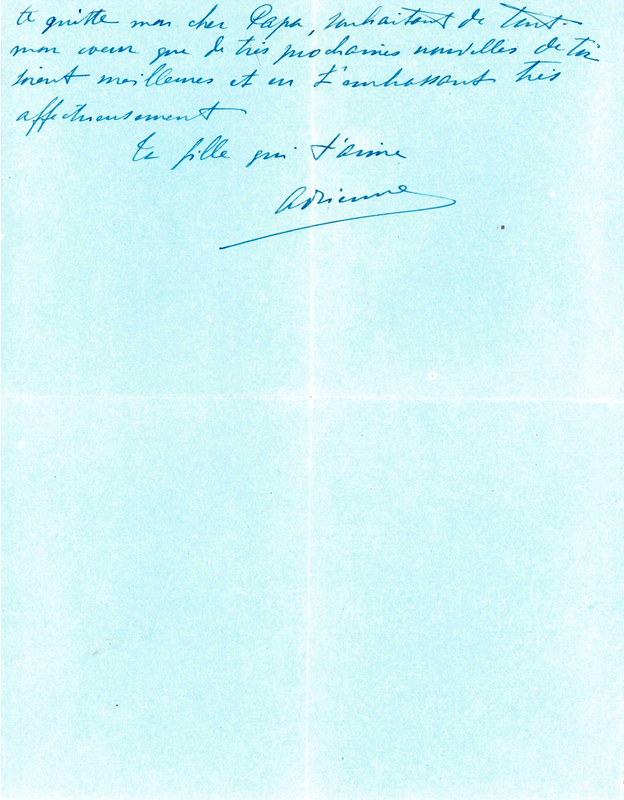 Someone, likely Jean La Forêt, has typed on the front and back. I am surprised at the red ink Jean used for his name and return address at the top; I wonder if he had a separate typewriter ribbon for that or if there was a row of red on his regular ribbon. I've seen both. (Yes, I do remember typing with ribbon, thank you very much.) With several typed-over corrections, this wouldn't have been the final version of a letter; it looks like it might have been a draft. Supporting that hypothesis is the second letter that was in the same envelope. This is another letter on an 8 1/2" x 11" piece of paper. As with the first, it is yellowed but was probably white, and was folded into quarters. It also has the same watermark, "LAKESIDE BOND." It has Jean's name and address on the top — in black this time — but typing on only one side of the page. Both letters have a mix of English and French. They are Jean's reaction to a news item that appeared in the San Francisco Chronicle on April 15, 1926. 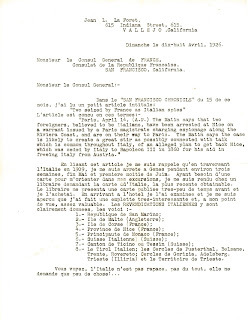 The first letter is dated the same day and might have been Jean's initial reaction to the article, while the second letter, dated April 18, is a more condensed version of his initial reaction. And here's the envelope the letters were in when I received them. It is a perfect 22 cm x 14 cm; the standard measurements are 8 5/8" x 5 5/8". 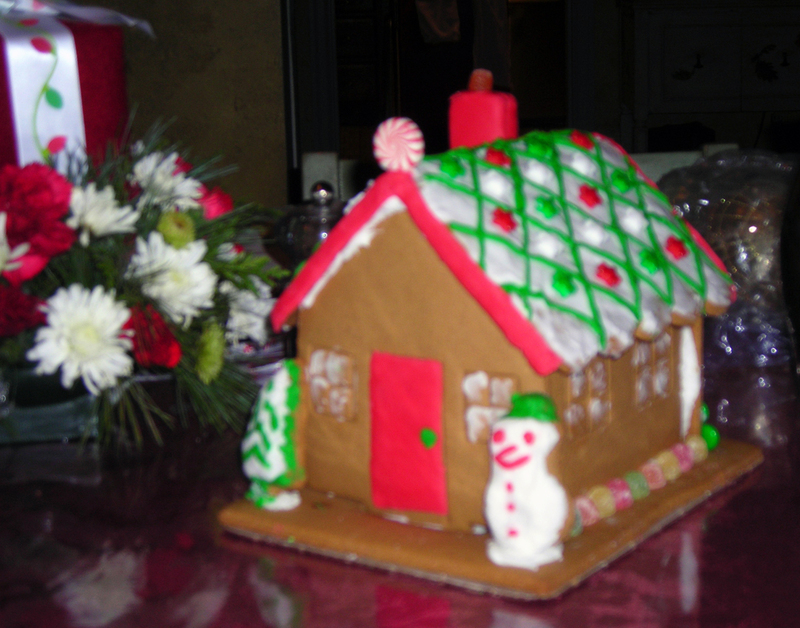 It's very brittle and looks as though it has taken on color over the years, but I'm not sure it was originally white. 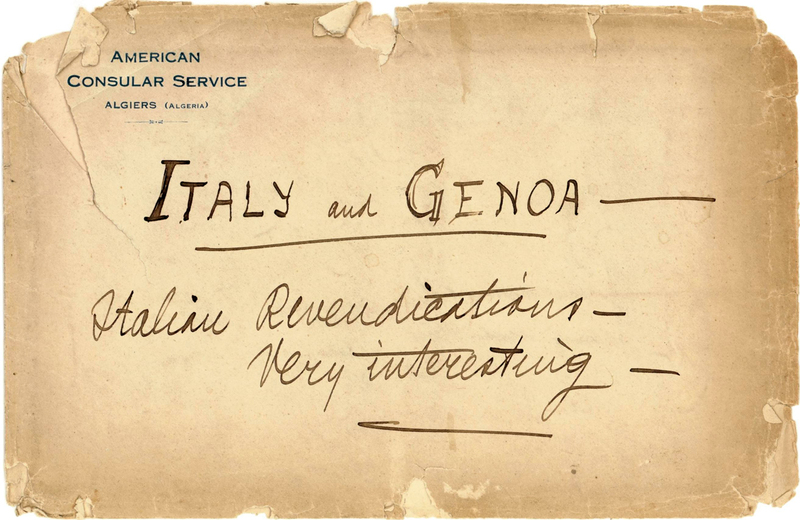 The preprinted return address on the envelope is "American Consular Service, Algiers (Algeria)", so it was likely printed overseas, ergo the metric size. Here's the short item that caught Jean's attention in the Chronicle. He did a very good job of transcribing it, with the only mistakes being one added comma and one omitted comma. Not bad, Jean! Jean's typing is very clear and easy to read, so I did not transcribe the sections written in English. 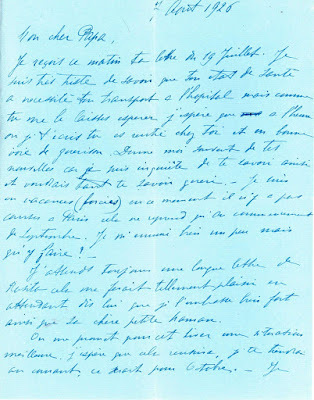 I have transcribed the French sections and translated them (but not Jean's strikeovers), and the handwriting on the envelope, which is mostly in English. 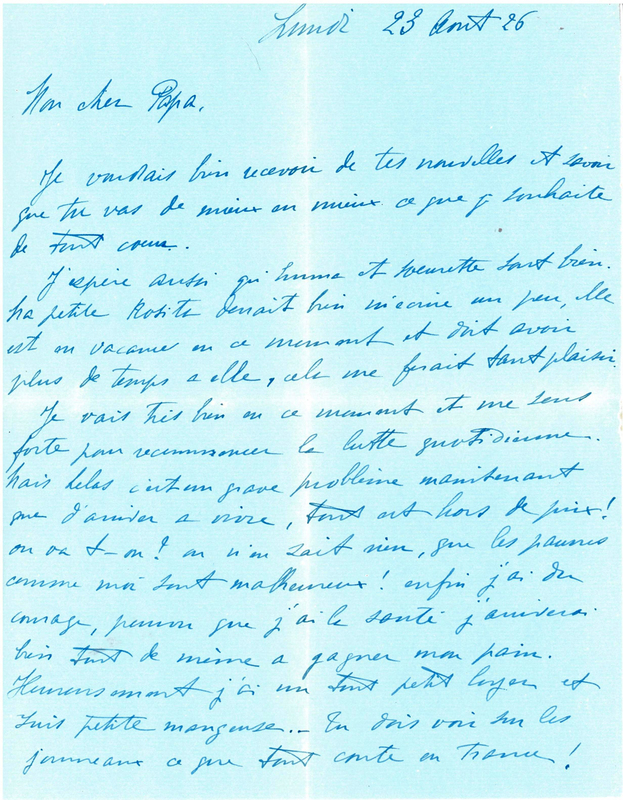 Unlike Jean's handwritten items, these letters have no diacritical marks, so he must have had a standard American typewriter. Cercles de Gorizia, Adelsberg, Trieste (Illiria) et le territoire de Trieste. Vous l'Italie n'est pas rapace, elle ne demande que peu de choses! . . .
Cette carte est a votre disposition si vous desiriez en prendre une copie photographique. La carte elle meme, je veux la conserver comme souvenir interessant. Ou serait l'Italie sans le secours de la France? C'est le prestige de la France, le sang de ses soldats et ses finances qui ont fait l'Italie. Que serait l'Italie aujourd'hui sans le concours, l'aide materiel de la France? 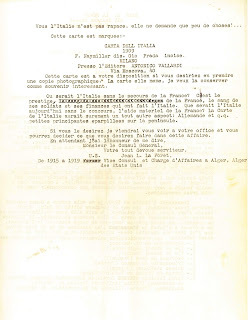 La Carte de l'Italie aurait surement un tout autre aspect: Allemande et q.q. petites principautes eparpillees sur la peninsule. Si vous le desirez je viendrai vous voir a votre office et vous pourrez decider ce que vous desirez faire dans cette affaire. 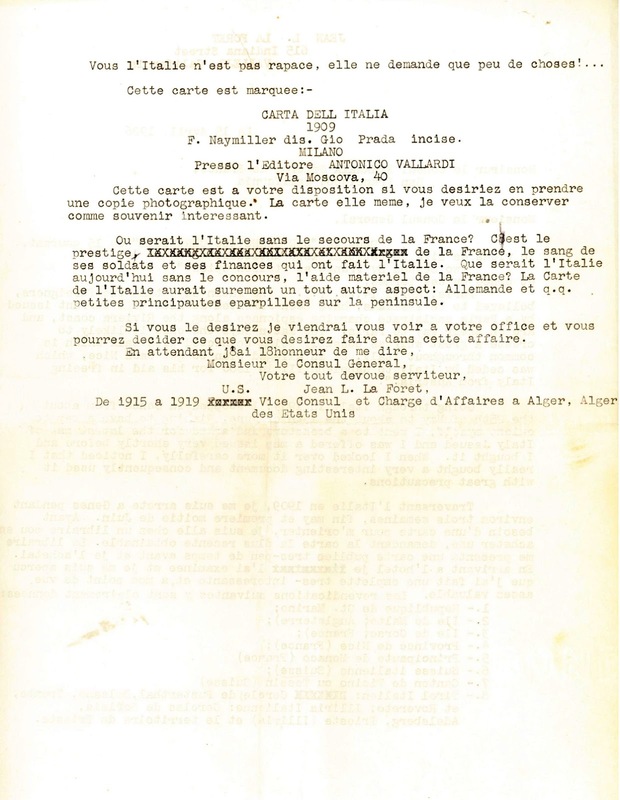 Dimanche le dix-huit Avril, 1926. Vous voyez, l'Italie n'est pas rapace, pas du tout, elle ne demande que peu de chose! . . .
areas of Gorizia, Adelsberg, Trieste (Illyria), and the province of Trieste. You [see], Italy isn't greedy, it hardly wants anything! . . . This map is at your disposal if you wish to make a photographic copy. I wish to keep the map itself as an interesting souvenir. 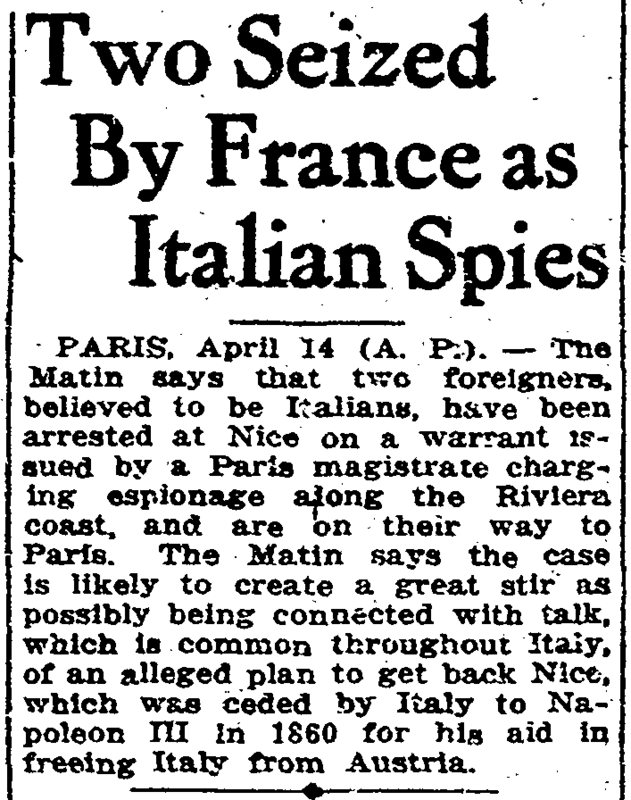 Where would Italy be without the assistance of France? It is the prestige of France, the blood of its soldiers, and its treasury that have made Italy. 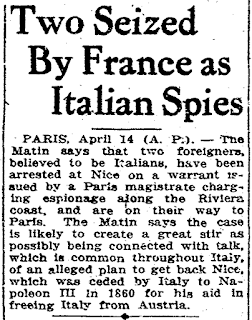 What would Italy be today without the aid and assistance of France? The map of Italy would surely look totally different: German and several small principalities scattered over the peninsula. If you wish, I can come see you at your office, and you can decide what you wish to do in this matter. You see, Italy isn't greedy, not at all, it hardly wants anything! . . . 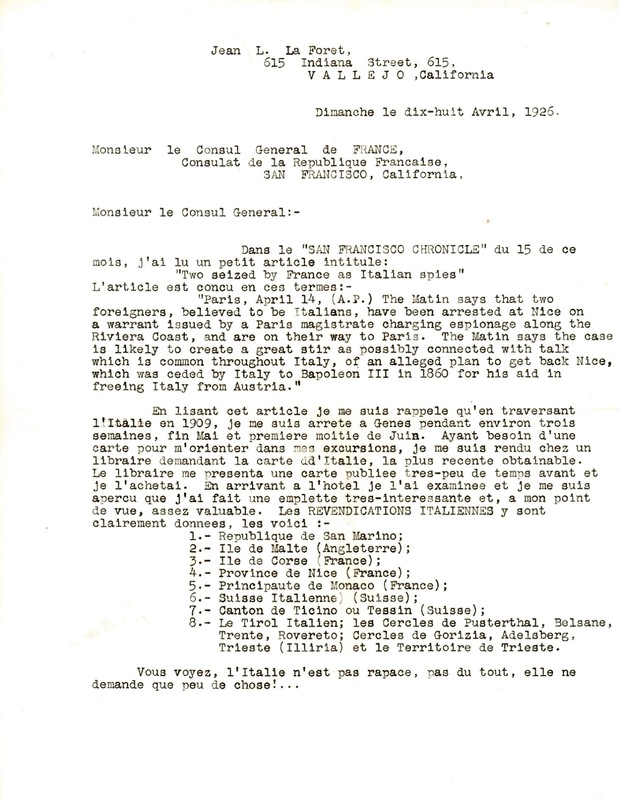 It appears that the letter dated April 15 was written right after Jean read the article in the Chronicle. Whether he intended it as a draft or simply put it aside for a few days to think about it a little more, the letter dated April 18 seems a little more streamlined and smoother. It does not have the paragraph in English at the beginning. It also seems a little less inflammatory, but I'm not sure I have the entire letter. 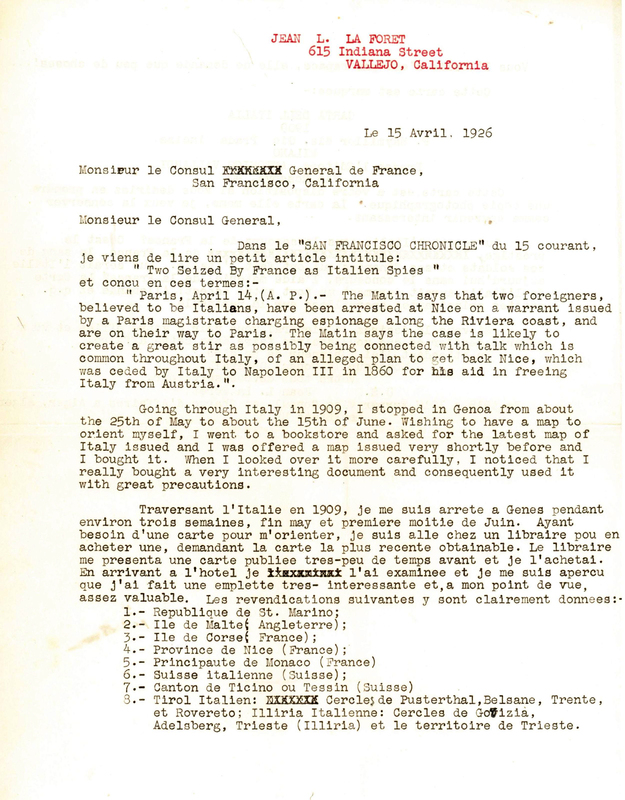 This one page does not include a closing or Jean's name at the end, so the second page may have been typed on a separate sheet and has gone missing over the years, and Jean may have repeated his comments about how much Italy owed to France. 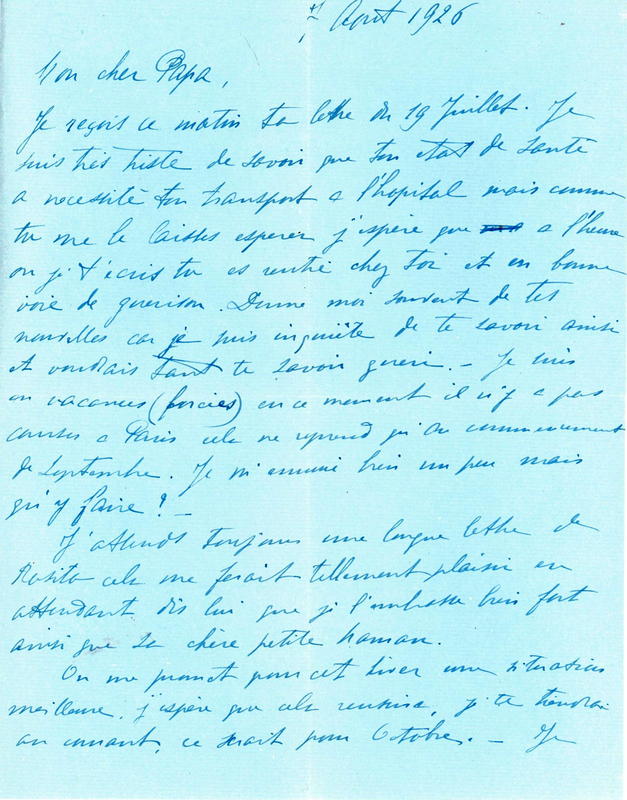 I'm not sure how to interpret the ending of the draft letter, where Jean offers to visit the Consul General. I don't know if he's talking about a decision on whether to copy the map or what to do about the Italians taken into custody. If the former, he makes it sound much more momentous than I think it warranted. If the latter, he may have had an inflated opinion of his position after seven years out of foreign service. The map does appear to have been interesting, although I don't think I have it either. While some of the cities and territories claimed by Italy that Jean listed had been under Italian control in the 19th century, some go back 500 years or so. It would have been difficult to find any support for those claims. Even more interesting is that in the current day, some of the territories on the list have indeed been returned to some level of Italian control. 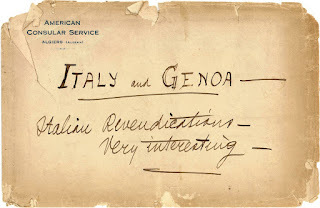 Jean included an entry in his journal for his trip to Genoa. This was when he traveled with Emma on what looked like it could have been a honeymoon trip, and Genoa was a stop on their way to Switzerland. The dates Jean gave in this letter match his journal. This man was very organized. Who knows, maybe he even consulted the journal before he wrote the letter! These letters are the first dated items I have for Jean after he and Emma returned to California from Missouri (unless I find another misfiled item, of course). 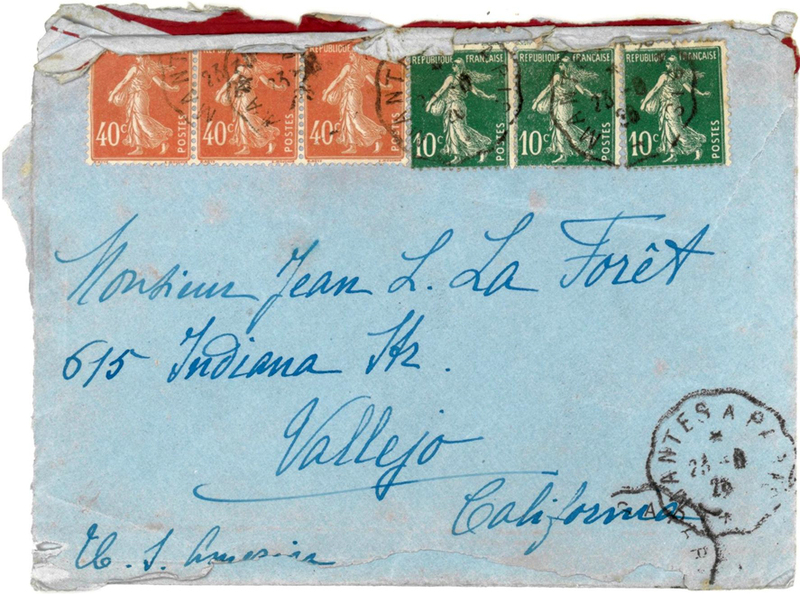 Sometimes between July 11, 1925 and April 15, 1926, they moved to Vallejo. And less than five months later, when he had been back in California for only a year or so, he died. I wonder if he received a response from the Consul General before then.